"These revelations are particularly sensitive as the Sikh community is this year commemorating the 30th anniversary of the events of 1984. We are also proudly commemorating the 100th anniversary of Sikh involvement and sacrifices in World War I. As proud and loyal British Sikhs these revelations are a matter of great offense. 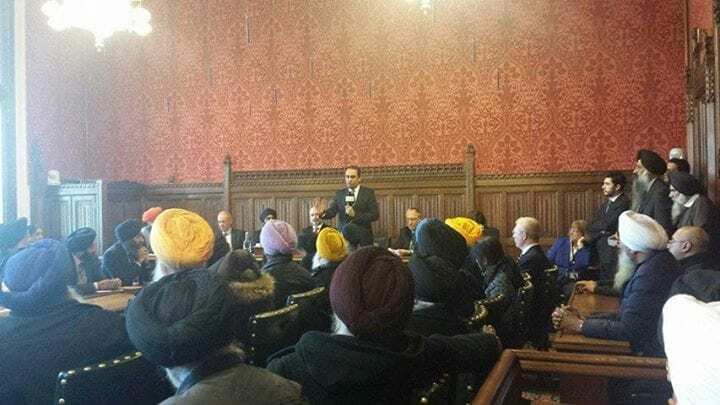 "The Sikh Council UK is pleased that you have listened to our calls for an urgent inquiry into the UK Government’s involvement in the events of 1984. As a result of this inquiry it is imperative that there is a full disclosure of the truth in relation to this period. Full disclosure will require publication of all documents and facts in relation to UK Government involvement before, during and after the attack on the Golden Temple as well as during the ensuing State of Emergency and during and after the Sikh genocide following Indira Gandhi’s assassination in October 1984. Given the unprecedented level of concern within the Sikh Community following these revelations, I would appreciate an early opportunity to meet and discuss with you how we can ensure that the entire truth of this distressing episode is made public. "As soon as the news went out on Monday that these documents have been released, I asked for an inquiry. I spoke to the Prime Minister that night and I asked for an inquiry. On Wednesday when the Prime Minister described this inquiry, he said it would be transparent, thorough and will get to the truth. These weren’t my words; they were his. That week I met the Indian High Commissioner and pushed to meet the Cabinet Secretary before appearing on Sangat TV on Sunday. The next day, after I dropped my daughter to school at 9am, I received a phone call from the Cabinet Secretary asking if I would mind if the inquiry was cross-party, after requests from PatMcFadden. I said I would be happy for it to be cross party. And last night again I was with the High Commissioner. What I am trying to say is that some of you will not be happy and will think, what happens next? All I want to say is that there are so many groups with so many different agendas and that we should not lose sight of the bigger issue, which is one of closure. My name is Paul Uppal but my full name is Paul Singh Uppal and I never forget that. This issue is for us as a community and as an MP all I can do is to speak as honestly as I can. All I am saying is just what I know to be the truth. As long as I do that, I will sleep well tonight and be able to look my fathers and my grandfathers in the eye. William Hague, in Foreign and Commonwealth questions yesterday said: "[The] review by the Cabinet Secretary will soon reach its conclusion, and its conclusions and findings will be published in the near future."